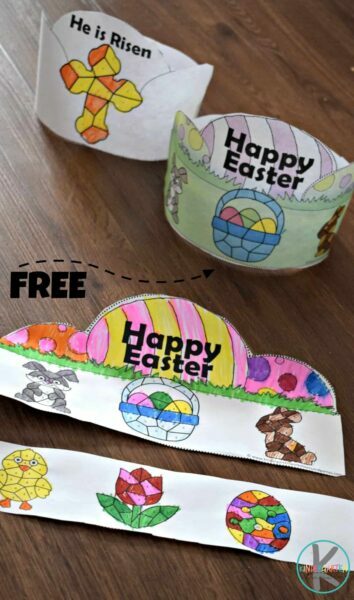 Young kids will love celebrating Easter with this free printable Easter Activity for Kids! Simply print this free Easter Color by Number Crowns in color or black and white, cut, and tape together to make this festive Easter printable for Toddler, Preschool, and Kindergartners. Print your FREE Easter Color by Number Crowns in color or black and white. This Happy Easter version has images kids associate with Easter such as bunnies, chocolate bunnies, chicks, flowers, Easter Eggs and Easter baskets. 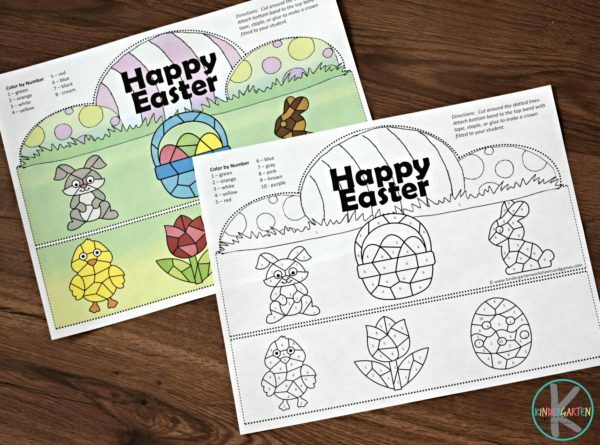 Kids will color the free Easter Printable based on the color by code in the upper left. This will help kids practice number 1-10, color recognition, and strengthening fine motor skills at the same time. 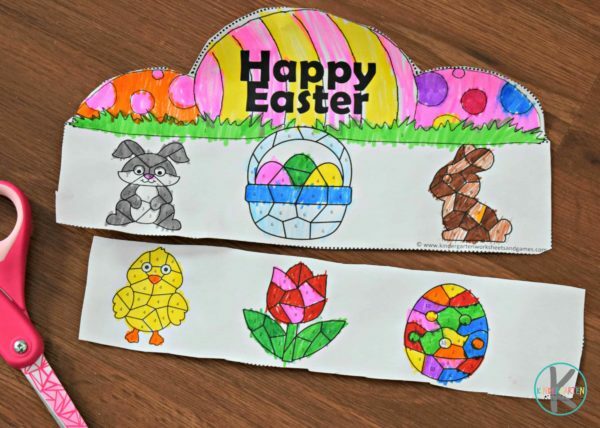 Next, cut the crown out and tape the edges together to make the right size for your toddler, preschool, or kindergarten age child to celebrate with this Easter Activities for Kids. 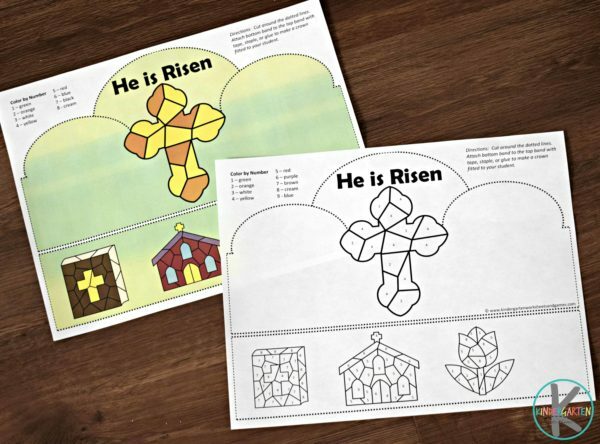 Kids in Sunday School will have fun using this Easter crafts for Sunday School version in either black and white or color. This is such a fun bible craft to make and wear proudly – He is Risen! Cut out and tape together just like the secular Easter crown for kids.